JuiicyScoop: Fanny Packs are BACK! LMAO@The Dog. Poor doggy, he looks so happy though. i never got into this!! OH LAWD what did they do to that dog. I will NOT be entertaining this fanny pack foolywang. I AM GLAD. I HATE TO TAKE HANDBAGS TO THE CLUB. I adore being hands free, and the old fanny packs always made me look horrible. 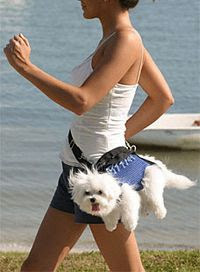 If you like this style of waist purse, you MUST check out fannypackalternatives.com. these bags are so cool- italian leather, adjustable up to 48 inches, you can wear them as a regular purse, as a fanny pack or across the chest like a messenger bag. best part? they make your hips look smaller. NOW I WONT HAVE TO WORRY ABOUT LOSING MY HANGBAGS. IT STAYS SECURE ON MY WAIST ALL DAY! gURL, HAVE YOU SEEN THE BABY PHAT FANNIES, THEY'RE SO CUTE! I think the Happy Cow Fashionable Fanny Packs rock!!! They are made from recycled leather and very easy on the eyes! Theres also a Hipshack fanny pack by may.tree.ark, looks classy. I may remark that you can call on this site because it's a site with truly good subjects to examine.Thanks a lot for info. іs a gгeаt source of data. I hardly leave a response, however after looking at a few of the remarks on "Fanny Packs are BACK! ".